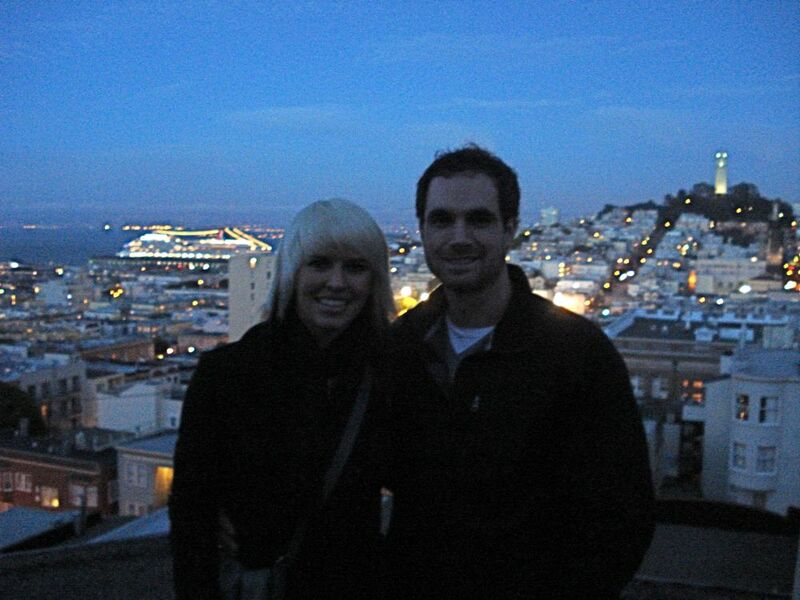 Finally at 30 years old, I realized firsthand why San Francisco is so amazing. This was my first trip to the famed city and I cannot believe it took me this long to make it happen. True, the city can be cold and damp at times, but that pales in comparison to its rich history and breathtaking scenery. I've realized my childhood consisted of iconic scenes of this city on the bay. One of my favorite Alfred Hitchcock films, Vertigo, features Jimmy Stewart trailing the beautiful Kim Novak throughout the city streets and eventually to a foggy Golden Gate Park. It's a city of opportunity, glamour, culture and in this case, mystery. Another classic altogether, Bullit, starring "The King of Cool" Steve McQueen features the most exciting chase scenes ever filmed. I grew up watching this more times than I can remember. My father loves cars and he has narrated that sequence to me so many times. "Notice the roar of the engine and McQueen double pumping the clutch." I still have a crush on this Hollywood legend. He performed most of his stunts in his 1968 Mustang GT while chasing down the nerdiest looking bad guys driving the 1968 Dodge Charger. This scene may seem hokey to some people watching it now, but at the time it was considered cinematic genius. There have been many imitators of this sequence over the years. The cars are literally making a high speed chase down the insanely steep terrain of the city on the hill. They drive over Russian Hill and streets like Chestnut and Lombard, all the while catching air after every plateaued intersection. It's tradition amongst my sisters if we bring a boy home to meet the parents that my dad makes them watch this scene from the movie. It's my dad's way of connecting to the guys and lets face it, he needs as much testosterone as he can get having all girls in the house. With all these images of San Francisco from the movies, it was about time for me to make a visit. 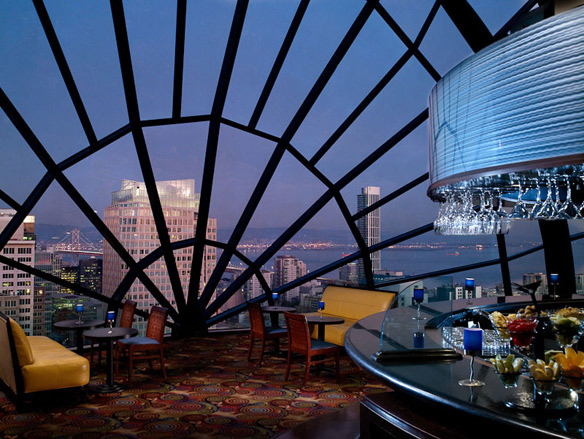 Thanks to some good timing on Travelzoo.com I was able to snag a great room rate at the Clift in San Fransisco. Just steps way from the famed Union Square, this gem is a can't miss. The facade of the Clift, in classic century-old architecture, welcomes guests with perfectly manicured topiaries and warm inviting hues of colorful lighting. When entering the lobby, in true Morgan's Hotel Group fashion, you get the unexpected. Designed by the Frenchman Philippe Starck, whose credits include the Delano and Mondrian, the Clift delivers with the trendy, whimsical and upscale. In the center sits an oversized chair that can comfortably fit six, if you can find a way to climb up into it. No doubt a sure photo op for every visitor. I felt like a modern version of Lily Tomlin's five year old character Edith Ann in her giant rocking chair. 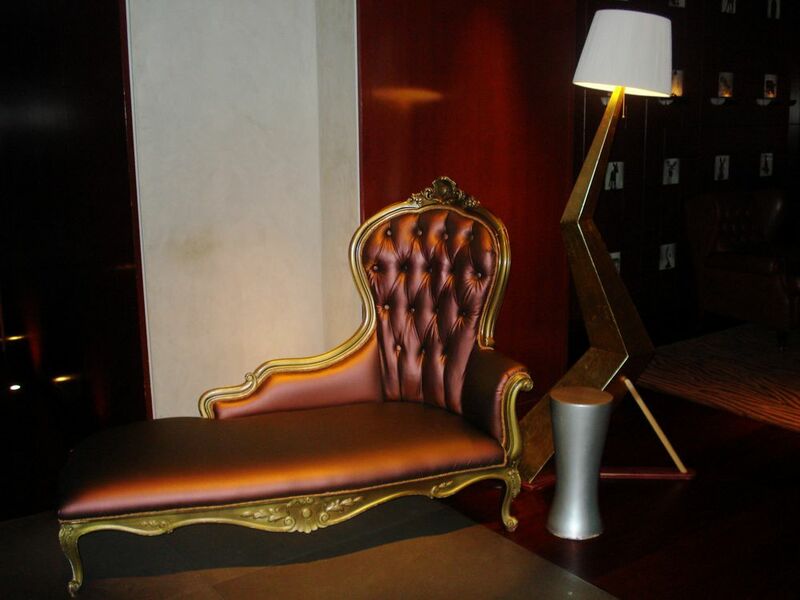 The collection of eclectic furniture and sculptures from artists such as Beirut native William Sawaya and a coffee table by none other than Salvador Dali, the guest will feel like they've entered the MOMA but here you can, in fact, actually touch the art. Even the elevator ride to the rooms becomes interesting. Each elevator chamber changes color with every ride to the top. The hallways are decorated in a pale lilac hue bringing serenity to the space. The guest rooms take on a minimalist approach with neutral relaxing tones while Starck continues his vision with custom designed sleigh beds plus a nod to the artist Man Ray with a wheelbarrow inspired chair. All Dada aside, the rooms are well appointed and large. 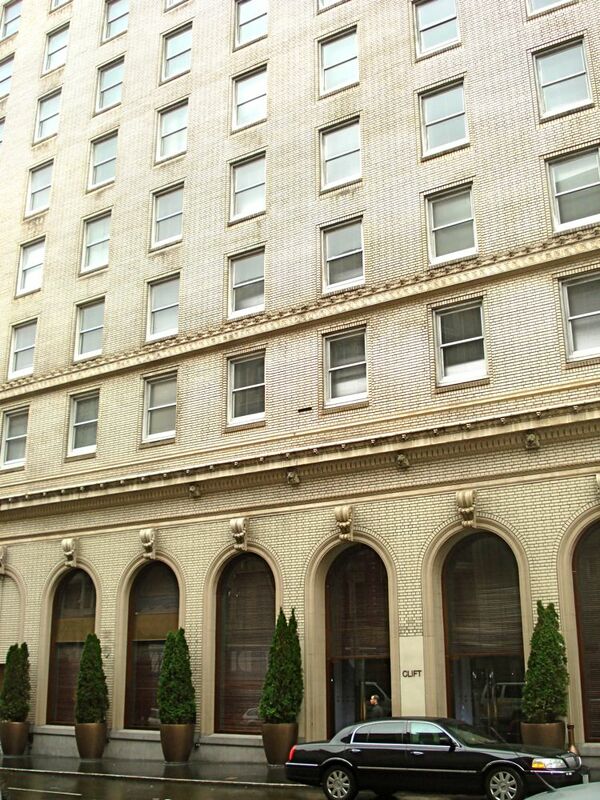 Remember, it is a historic building so you will not get that new hotel feel even though it is fully renovated. The bathroom, albeit small, is bright and stocked with luxurious bathing products from MALIN+GOETZ. Wireless Internet is available but not included in the price, unfortunately. If you're looking for free wi-fi, a Starbucks is just across the street. 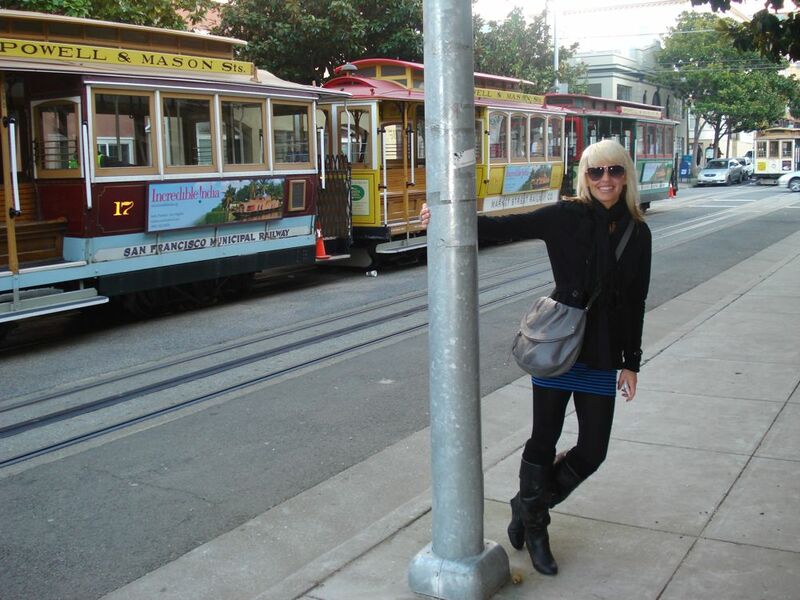 All the major sites of San Francisco are within walking distance. You can catch the streetcar right in Union Square, about 2 blocks west. 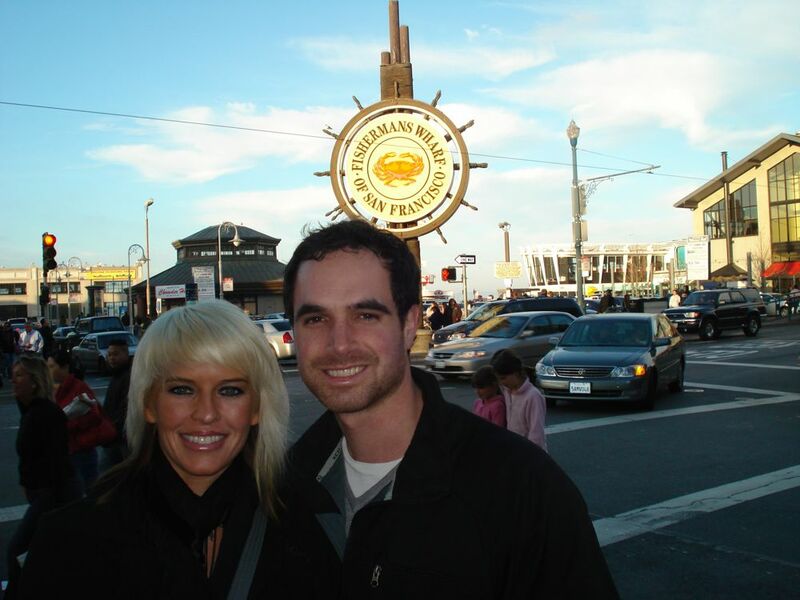 We had to make a stop at the world renowned Fisherman"s Wharf even though it's the most touristy area of town. We headed north from Union Square up Powell Street toward Russian Hill and Chinatown then Northwest on Columbus. Once we arrived at the bay, we snapped the typical photos of the bustling market and Alcatraz just offshore. Trying to avoid seagulls and pushy street salesmen is the norm here. After spending about an hour walking around. I had enough. 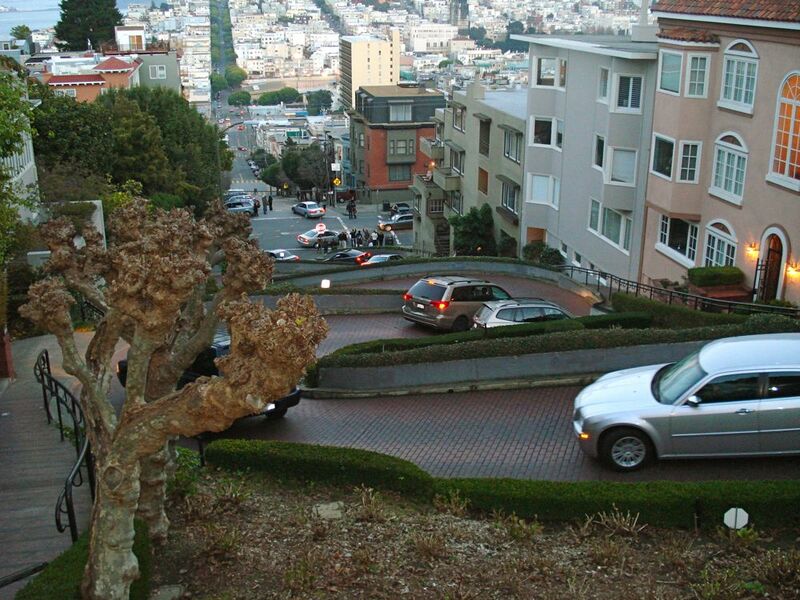 Next on my list, I wanted to walk to the curviest street in the world for a photo oppotunity: Lombard Street. It reminds me of watching the 1963 comedy "It's a Mad Mad Mad Mad World" I can't imagine actually living off this street since there seems to be a steady line of cars trying to drive this crooked road while filming the experience. With the sun setting, we made plans to meet up with my boyfriend's old business partner, Eric, for dinner. I felt it was essential to get a local's take on where to go for the evening. We called him from Lombard Street to get his address and realized his home was only two blocks away on Filbert Street -- how convenient! 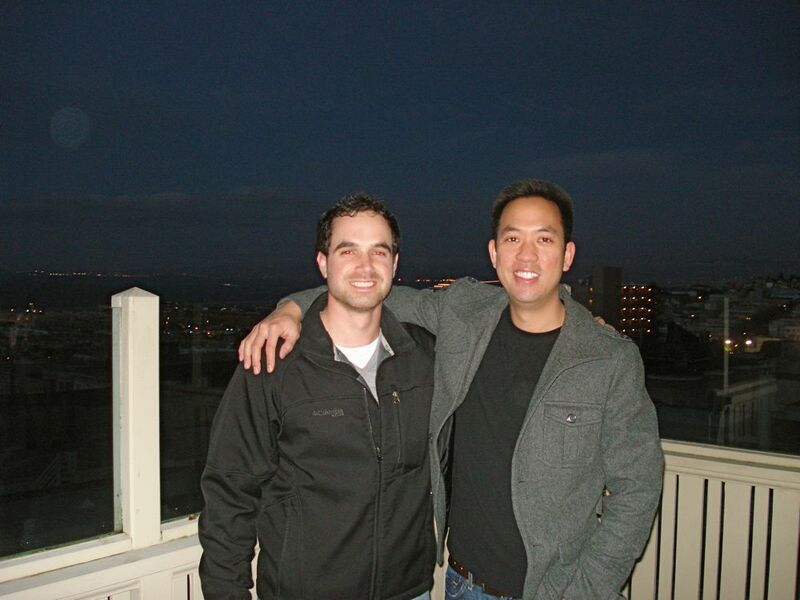 Eric's townhouse was incredible with breathtaking views of the bay. This is exactly what I picture whenever someone mentions they live in San Francisco. For dinner, Eric suggested sushi since he had a nearby place in mind. Eric told us this can be touristy at times but the view from there is one of the best in the city. Unfortunately, when we arrived they had the venue closed for another hour for a private party. I could get a glimpse of the large web like window looking out over the city but that's as far as I entered. 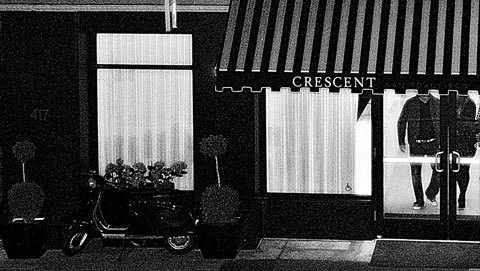 As an alternative, Eric suggested we try a cool Speakeasy called The Burritt Room located at the Crescent Hotel. We arrived at the location and took the unmarked staircase to the left of the lobby to the second floor. 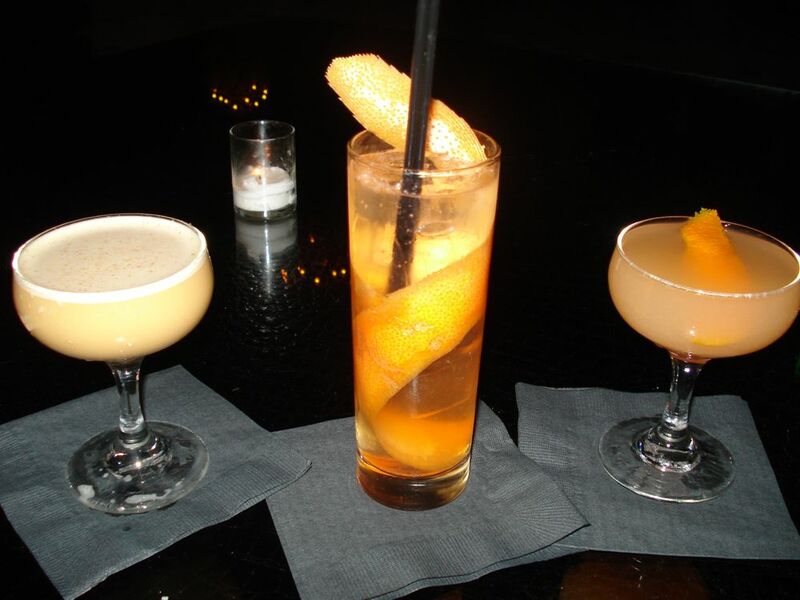 The namesake comes from the murder scene alley in the 1941 Humphry Bogart film "The Maltese Falcon" The selection of drinks is impressive with combinations I have never heard of before that night. 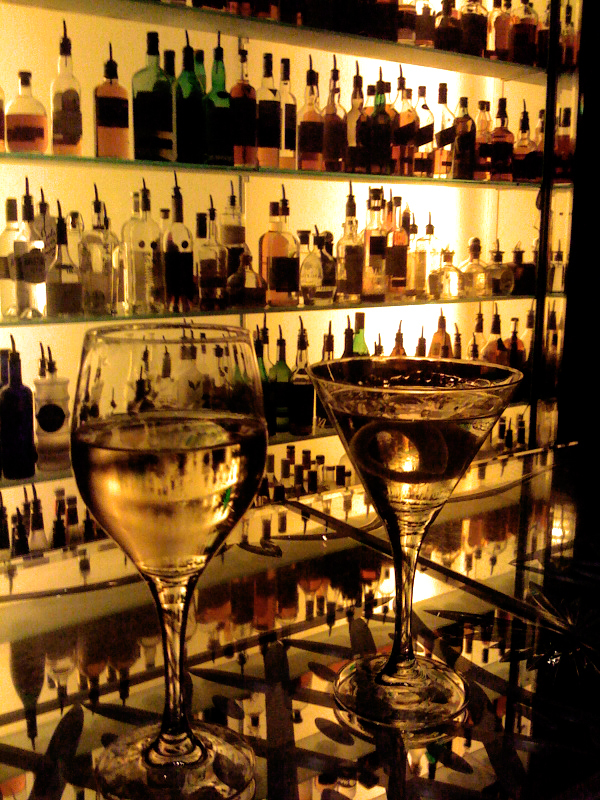 The mixologist was friendly, attentive and informative. What a great place to catch up with Eric and talk about his life out in California. 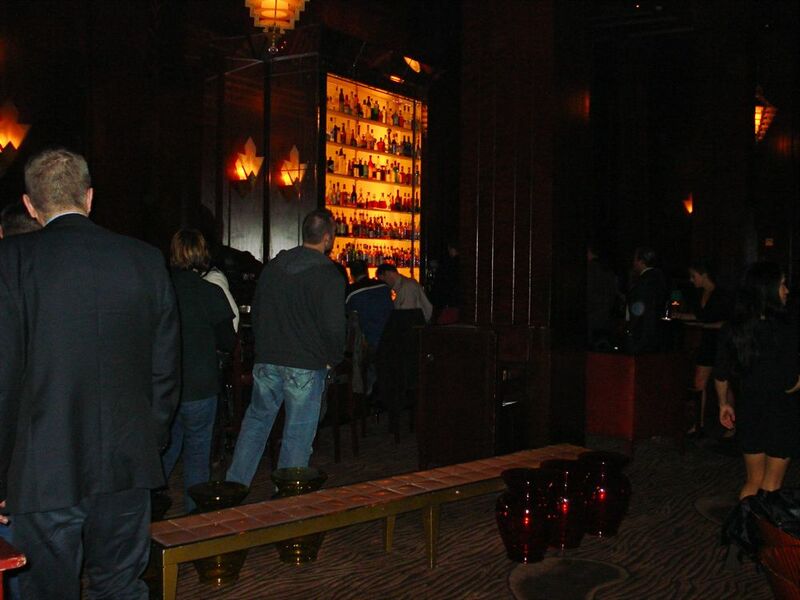 For our last stop of the night, we ended up back at the Clift. Eric said the lounge there called The Redwood Room is a popular spot. Originally a hopping nightclub in the 30's, it has undergone a major renovation to be restored to its former glory with a few modern twists. Although it was a Sunday night, the Redwood was bustling with activity. 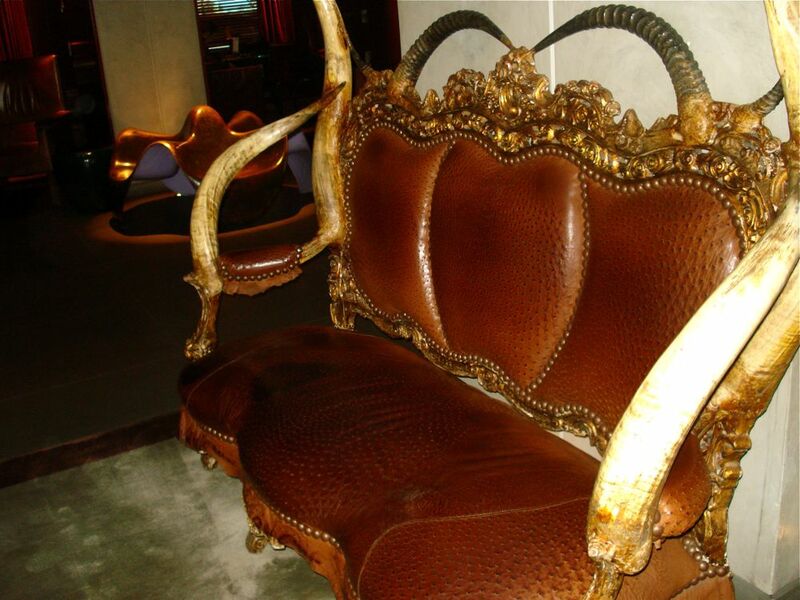 The bar itself has been said to be made out of one solid piece of a redwood tree. The back-lit bar, in its yellowish hues, is a great contrast to the rich wood feel of the cozy hunting lodge-like space. It's hard to keep your eyes off the digital artwork displayed on plasma television screens in various locations throughout the room. This place is truly an international scene, not surprising since San Francisco draws globe trotters and business travelers better than any big city. As the night progressed, we made friends with a business man from Finland with a very unusual name, two wacky guys from Tokyo, two sisters from LA and a group of fun Aussies. Our Finnish friend was feeling generous and bought four bottles of Nicolas Feuillatte Champagne to share with his newfound group of friends. By the end of the evening. 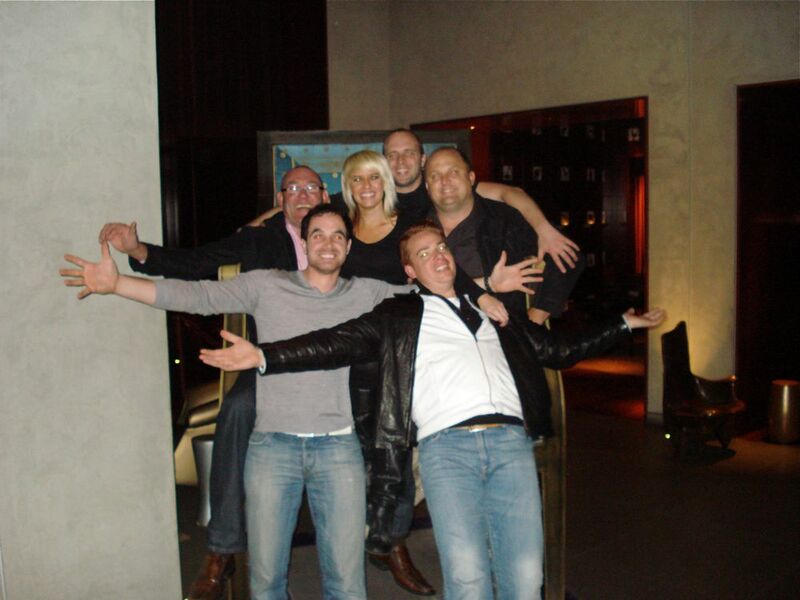 the guys from Oz convinced us all to get a picture in the Edith Ann chair in the lobby. I hadn't had fun like that with a bunch of random people in a long time. Overall, my first 24 hours I ever spent in San Francisco was everything the old films made it out to be: fun, adventurous, intriguing and definitely entertaining. 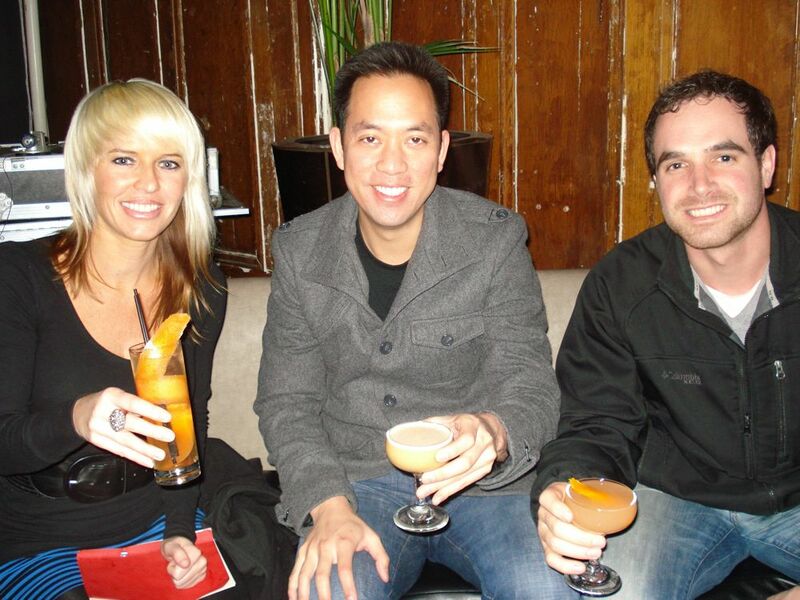 I already can't wait to visit the Clift and this great city again. Viewed 13259 times so far.